Of all Hen and Chicks, the Sempervivum arachnoideum types are some of the most appealing. They tend to be tiny, compact and quickly produce colonies of chicks nestled close together. The cobwebbing varies with different forms. Many of these tiny little cobweb hens and chickens tend to be distinct forms that are from a certain geographical location, named after the place where they are first found. This is different from many plants, which are named for the person who first discovers the form or species. 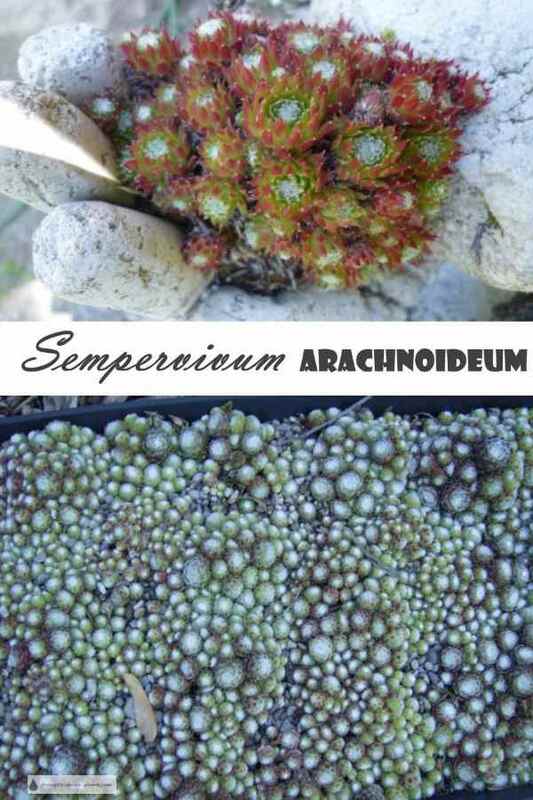 Because of the variability of Sempervivum arachnoideum, they easily adapt to the local conditions, and due to the small gene pool, they become a form or variety quite quickly, perfectly adapted to the local conditions of heat and cold as well as the amount of snow or rain and at which times of year. 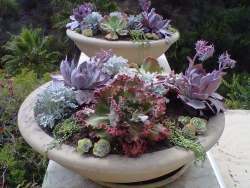 They form the genetic basis for many named varieties too, using their special characteristics to influence the growing habits, adaptability and just plain good looks to make low maintenance hardy succulent additions to trough gardens, crevice gardens, hypertufa pinch pots and many more succulent crafts. They are ideal in so many ways, as they quickly start to form very tight clusters of rosettes, filling in Sempervivum walls, mosaics and topiary, and their shallow yet fibrous root systems hold soil in place even in vertical plantings. 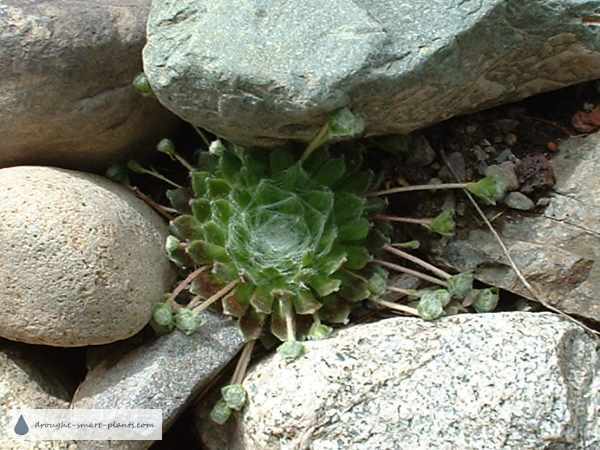 If you’re just starting with growing succulents you’ll find that houseleeks of any kind are some of the easiest, and Sempervivum arachnoideum are amenable to small containers, rockeries and crevice gardens, spreading to fill the space available but never invasive. Many gardeners have started their collections with a few spare chicks, never dreaming how addictive collecting the many forms in the Sempervivum arachnoideum group can be. Here are some of the Sempervivum arachnoideum in my collection – never realizing how many different ones there are I limited my choices, and I’m now kicking myself for not greedily grasping as many as I could. To give you an idea of the scale of these plants, the pots they are in are 2" across at the top. You can easily pick the cobweb hens and chickens out of a crowd – they stand out by colour and texture. Start your collection with some of these easy succulents; you’ll be entranced by their miniature charm.